Our tittie crush of the month is Nicki Minaj, who just dropped a new music video with Lil Wayne called ‘ Good Form’. This video is hawt! And has a lot of familiar faces making cameos, like mother-daughter duo Evelyn Lozada and Shaniece Hairston. Nicki also has Lauren London (who also has a child with Weezy) make a cameo right on time for her to spit, “I’m in that new new meeting Nunu when I roll up.” Other cameos include the Clermont Twins, Brooke Bailey and the the not-so-subtle casting decision that will, no doubt, reheat her beef with Cardi B, Baddie and Jade. 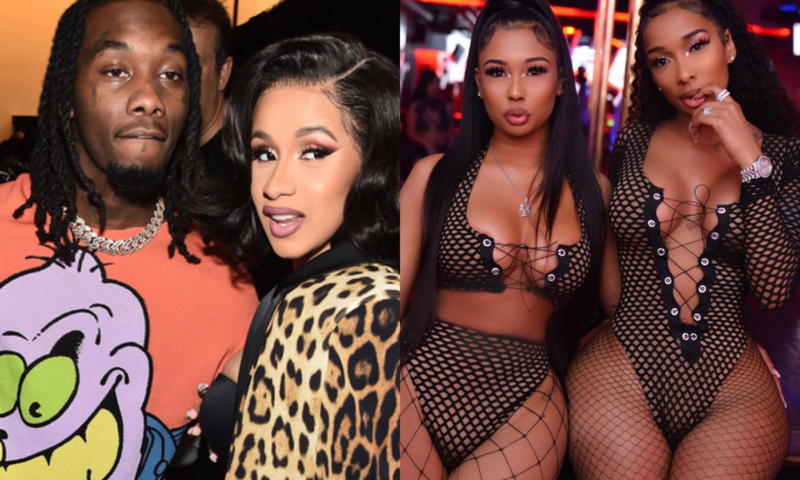 For those of you who don’t know who Baddie and Jade are, they are sisters who Cardi B thought slept with Offset. There have been stories going around saying the Bronx rapper ordered an attack on them. The sisters were injured badly and having been trying to sue Cardi B. To make matters worse, Nicki added them to her music video, SHADY! PETTY AF! You can see the sisters around the 40-second mark.